Ensure healthy inputs and outputs. Ensure minimal use of resources in production and transportation. Ensure durability of product and components. Enable disassembly, separation, and purification. The last principle is noteworthy because it sometimes has less priority. For example, although it is a good idea to design a computer made of recycled materials, it is a bit counterproductive if it is difficult to disassemble the computer when it is discarded. A typical consumer’s sustainability preferences vary significantly depending on the product and industry, whereas preferences for things like monosodium glutamate are easier capture: either a consumer is indifferent about it or it’s a deal-breaker. 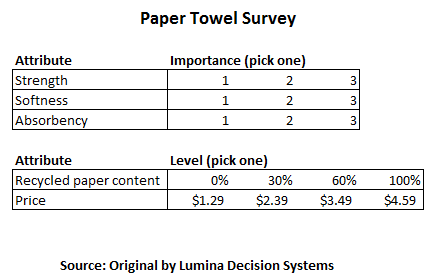 In a marketing science paper by MacDonald et al., the authors apply green decision analysis to the design of paper towels in which a company’s objective is to maximize profit and minimize greenhouse gases. The approach above is widespread across many industries, including automotive. Research by Carnegie Mellon University engineers in a 2009 study incorporate green decision analysis using a “footprint” attribute. This attribute captures the US Corporate Average Fuel Economy (CAFE) regulations, which are used to influence vehicle design and pricing. Since CAFE may change annually depending on current transportation technologies, it is important for manufacturers to continually model consumer preferences and choices in addition to company goals and constraints. Other attributes used for vehicle design are price, power, weight, seating, size, and categories the vehicle falls into like luxury, sport, import, and hybrid. The MacDonald el al. paper incorporated the consumer preference models into a planning model containing other important aspects for optimal product design. In general, the planning model can be a nonlinear integer program (a type of optimization model), in which the objective function is quasiconvex (due to the sigmoid models) and integral because of the discrete decisions to be made on product attributes. Of course, such a model can be massaged into an easier one to solve. Also, it may be better to run a simulation instead of an optimization algorithm to find a good product design. 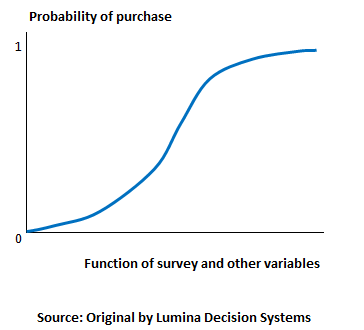 Either way, Lumina Decision System’s Analytica platform can be your muscle to solve such problems. As one slice of an optimal design problem from the MacDonald et al. 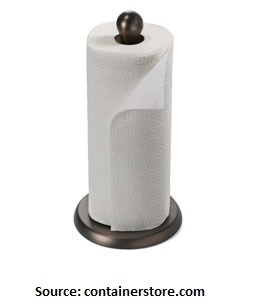 paper, the image below shows that a company would want a design that yields high profit while considering the impact from greenhouse gases (GHG). 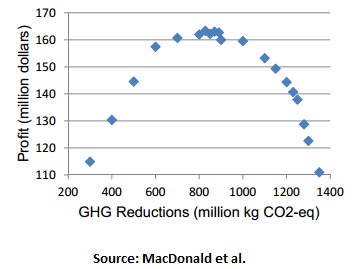 Notice that the company may choose slightly lower expected profit for a higher reduction of GHG. From collecting consumer preferences (including product sustainability factors) to modeling consumer response, sustainable products should be designed in a rigorous and streamlined fashion. I love good design. On the topic of green decision analysis, I am interested to see how new products are designed, such as kite energy systems, a topic in my previous blog. From paper towels to cars and kites, what sustainable products do you think should be designed? Sean Salleh is a data scientist with experience in guiding marketing strategy from building marketing mix models, forecasting models, scenario planning models, and algorithms. He is passionate about consumer technologies and resource management. He has master's degrees in Operations Research from University of California Irvine and Mathematics from Northeastern University.